I had someone at a workshop last week ask me how to cook brussels sprouts because she had only ever had them steamed and didn’t enjoy them that way. No $hit mate, that’s because they taste friggen awful like that. It’s like over-steamed zucchini… Barf. Why? Why would you do that? There’s a few things that will make almost any vegetables taste amazing. Good quality butter. Good quality salt. And bacon. Not necessarily all together but in this instance, all together is an epic idea. 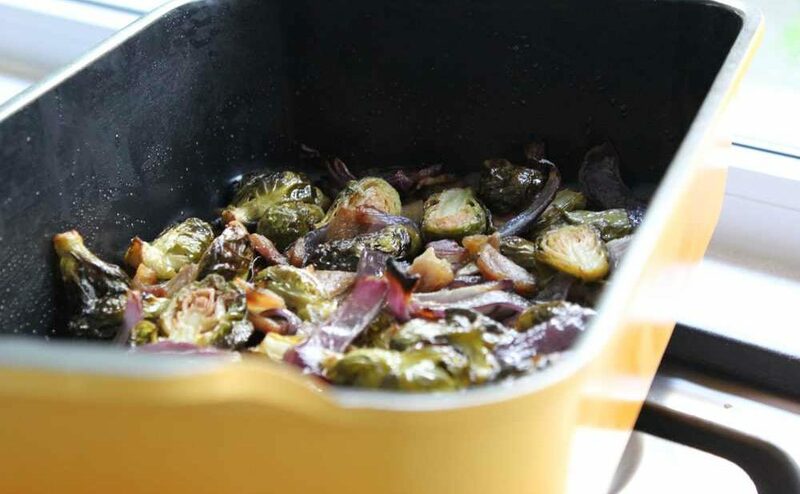 Prepare to enjoy eating brussels sprouts. 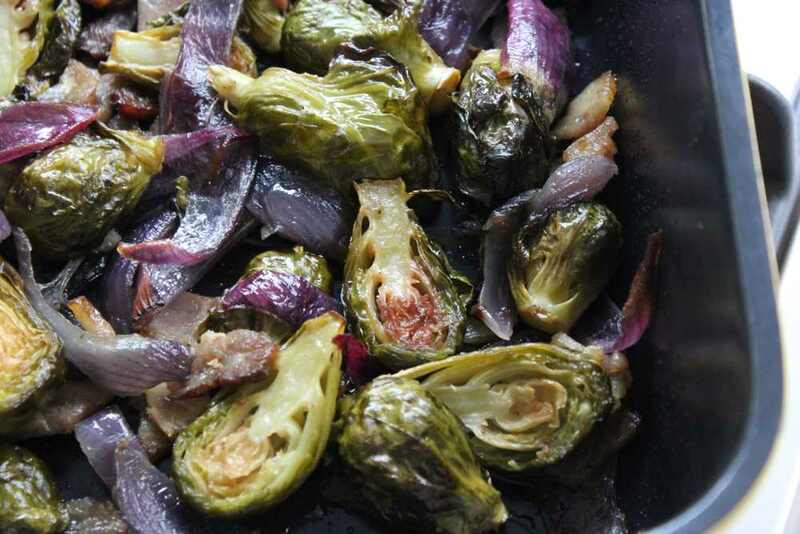 Brussels sprouts look like little mini cabbages, probably because they are part of the same cruciferous veggie tribe as cabbage. Same squad that broccoli, cauliflower and bok choy hang with. These veggies are all sulfur-rich which makes them fab at helping to support our detoxification pathways and are said to have cancer-fighting compounds. Despite being a powerhouse of nutrition, no-one wants to chow down on food that tastes like crap so lucky for you, these taste awesome. Preheat over to 180C. Grab a baking tray and add all ingredients and mix well to combine. 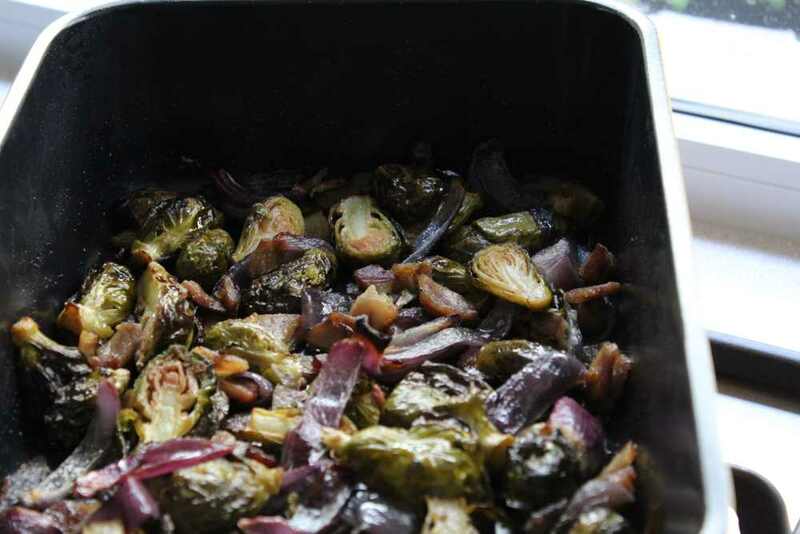 Cook for approx 30 minutes until the brussels sprouts are golden and starting to crisp. Serve with whatever you fancy. If you tolerate dairy, a great goats cheese crumbled on top would make it a delicious warm salad.